The gay guide to RELATIONSHIPs! In the era of mobile apps, the gay dating census (aka #BaeBuffet) is literally in the palm of your hands. But how do you sift through all the digital smoke and glitter to find a heart of gold? 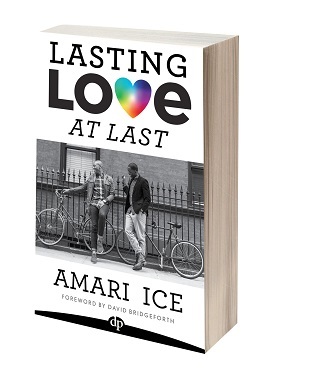 Enter gay matchmaker and relationship coach, Amari Ice and his twelve-step RELATIONSHIP Process. If Paul Carrick Brunson’s It’s Complicated (But It Doesn’t Have to Be) and Patti Stanger’s Become Your Own Matchmaker had a #Gayby (gay + baby), Lasting Love At Last is what they’d name it. Enter your name and email address to get yours today! Already have the book? Click Here to Download the Lasting Love Toolkit! © 2018 AMARI MEANS LOVE, LLC. ALL RIGHTS RESERVED.